Winter is so depressing. 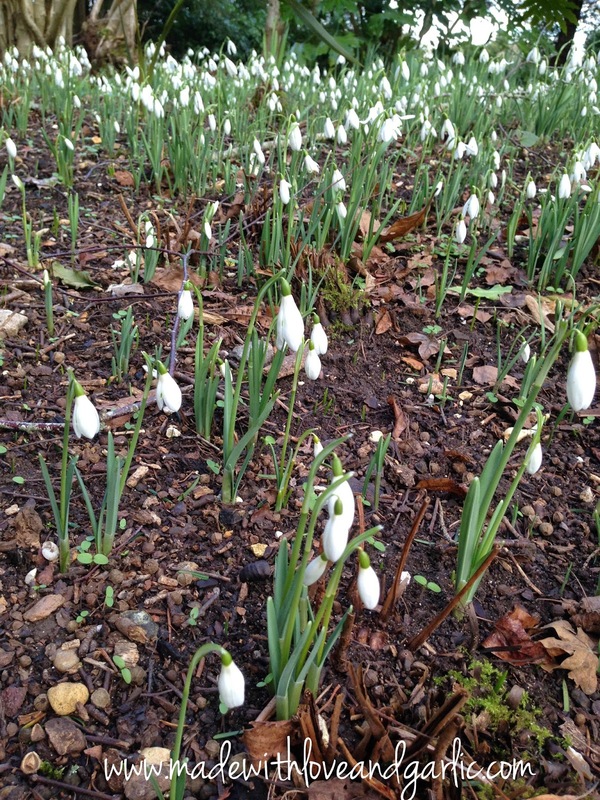 If you live in the countryside you can wax lyrical about crisp air and frost on the grass and similar. If you live in London, everything just seems greyer than usual, and covered in a light film of oily sheen. It’s so depressing. So we generally flee the old metrop. every year. 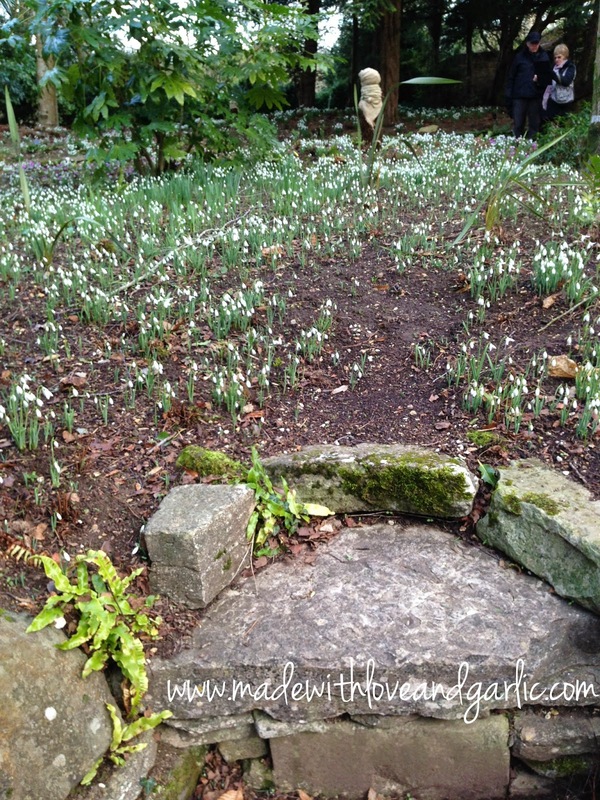 This year we went back to Dorset with the GarlicBaby for a long weekend so that we could combine our escape with a trip to see the beautiful and legendary snowdrops at the National Trust’s Kingston Lacy. It was a fantastic day out. 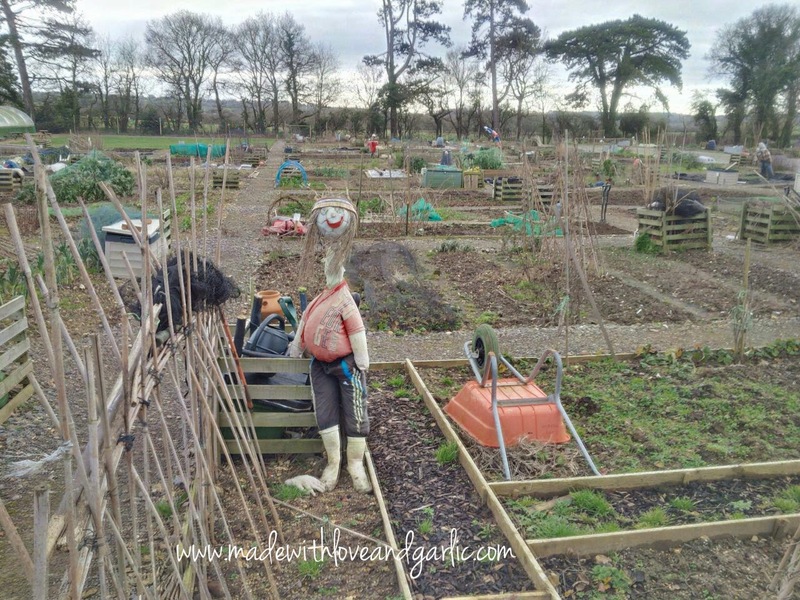 Although the house was closed for winter, we had a lovely long frosty walk amongst the swaying fields of snowdrops through to the kitchen gardens which are being regenerated. 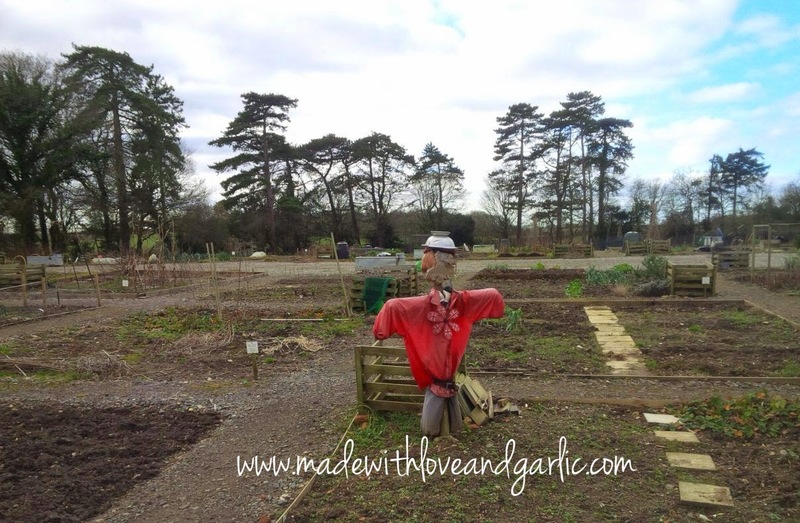 They’re a way off from being the six acres tended by twenty gardeners that they were in their heyday, but they’re coming along apace and it’s lovely to see such an important historical kitchen garden being restored. 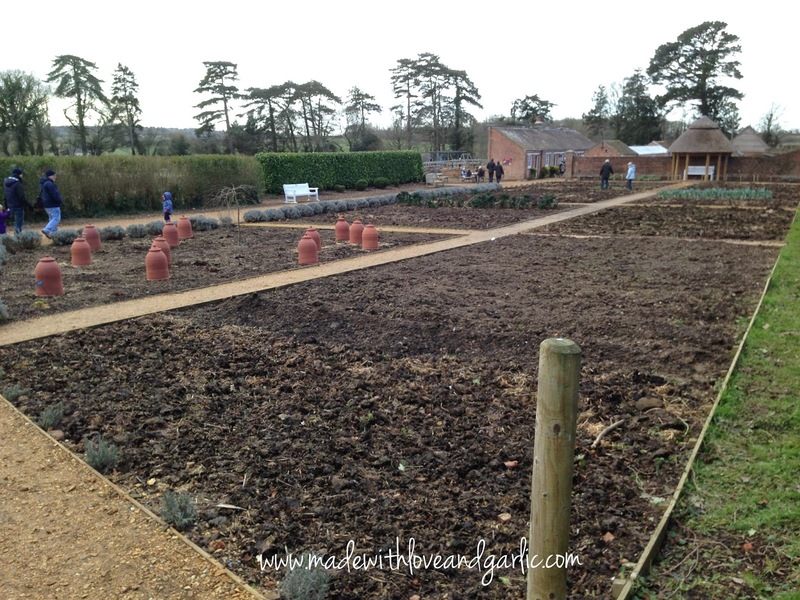 Apparently even Queen Victoria sent her gardeners there to hone their skills. 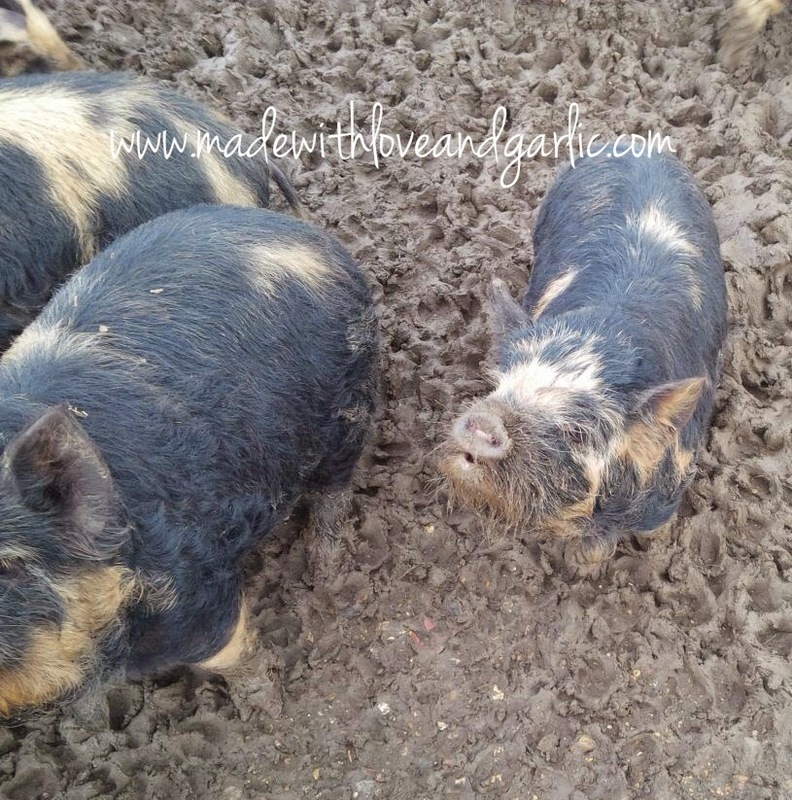 We’re already looking forward to returning to see their pond once it’s finished. But in the meantime, we fell in love with the variety of other attractions in the grounds. 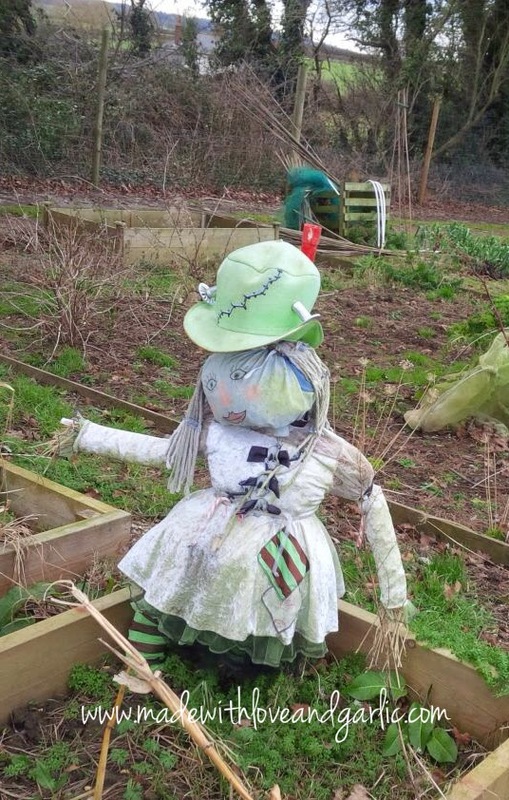 We enjoyed buying pig nuts to feed to the lovely squat little Kune Kune pigs and watching the nest box cameras before wandering around the community growing spaces which have some of the most inventive scarecrows I’ve seen in years. 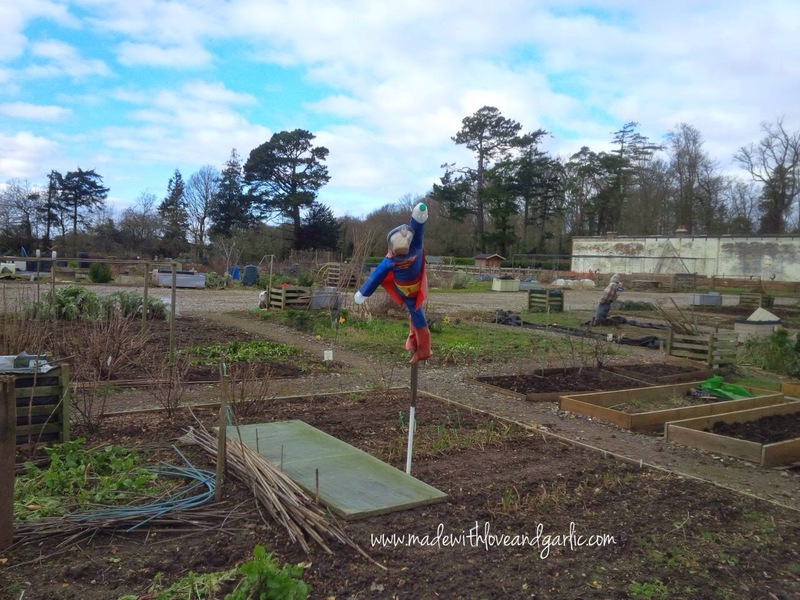 Superscarecrow is cool beyond words! 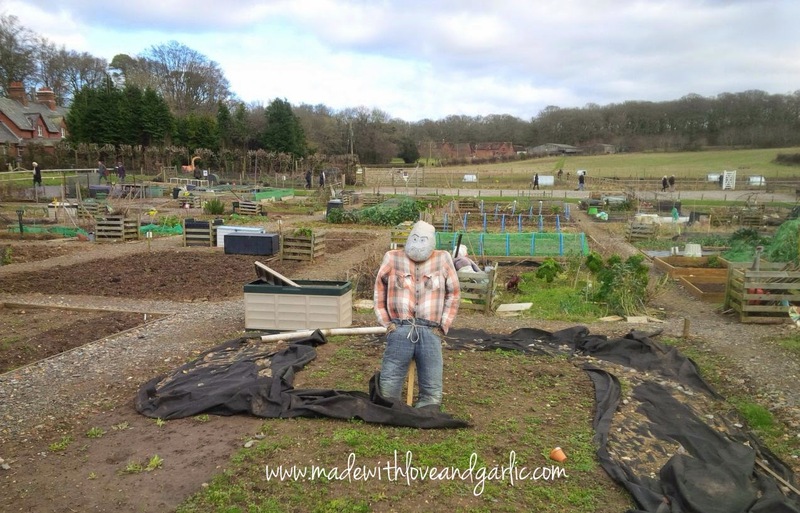 Inspiration: I must say, when I finally have enough space to have a scarecrow, he will be dressed like a king. Or a hero. Or a clown. Something interesting though. Child-friendliness: Wonderful. 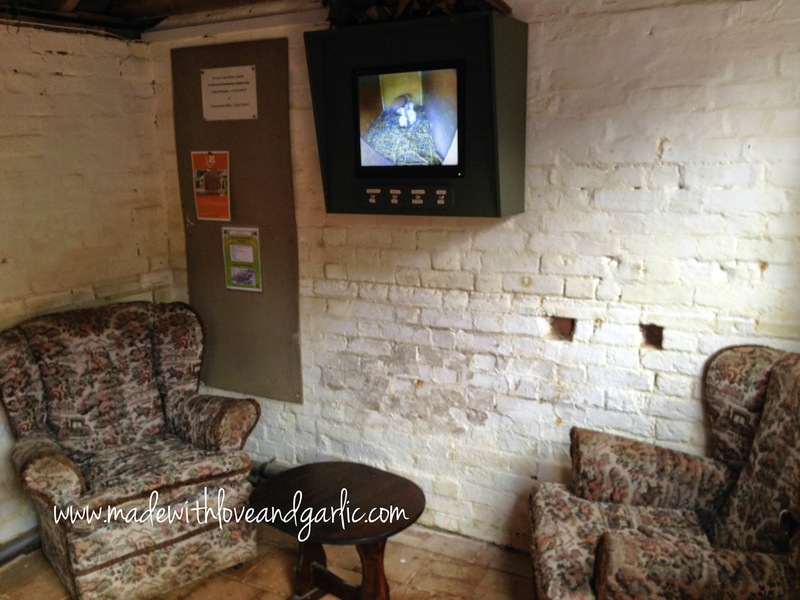 GarlicBaby seemed fixated by the birds in the little nest box camera viewing room and he giggled like mad at the lovely little Kune Kune pigs as they scrabbled for the pig nuts we threw them. 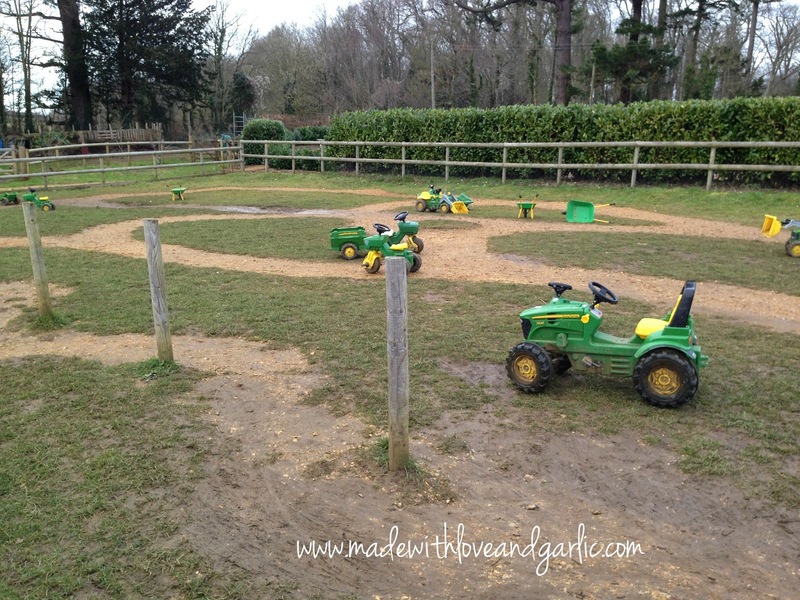 There was a sweet little playground for the children next to the kitchen garden where there were wonderful toys like push-along tractors for older children to play on. The only possible improvement could perhaps have been the changing table in the main loos by the cafe and restaurant. Placed as it is, anyone entering the door is treated to an eyeful of baby bottom so moving it somewhere less obvious might be an idea. But overall Kingston Lacy was an absolutely lovely place to visit as a family and we can’t wait to return. The National Trust is one of the best things about this country and we’re so proud to be members. 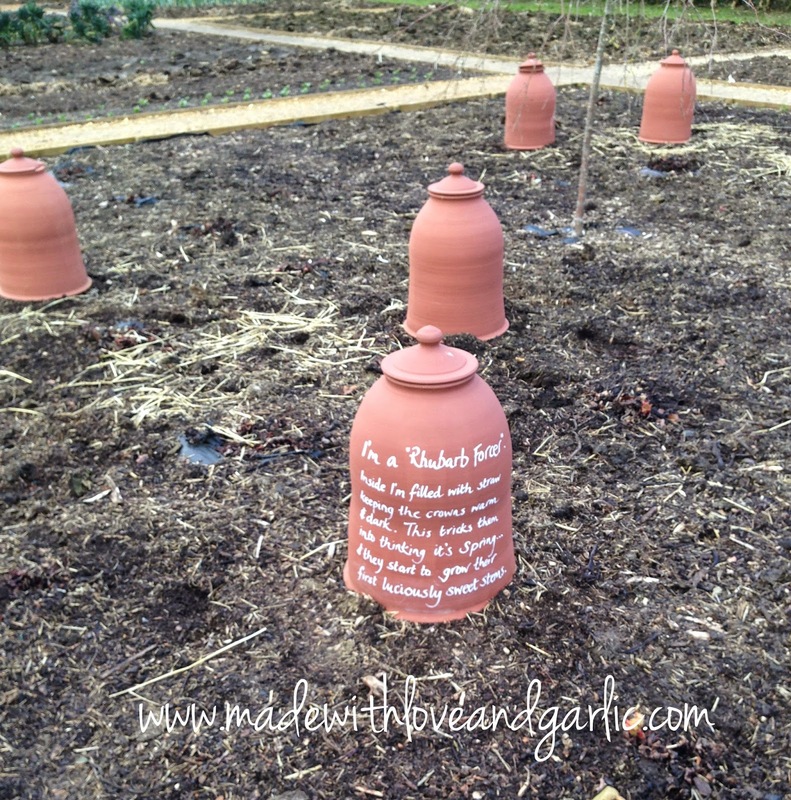 And so it begins…the first of the seeds are sown!